In Petrograd authority is ebbing away from Provisional Government, with Kerensky‘s decrees being increasingly ignored. Meanwhile the advance of the German army is engendering a sense of crisis in the city, with some suggesting that Kerensky is deliberately abandoning the city to the enemy. In response to the crisis, the Petrograd Soviet at Trotsky‘s suggestion has agreed to form a military revolutionary committee, to coordinate the defence of the capital. However the committee is intended to defend as much if not more so against counter-revolutionary elements as against the Germans, which means that its efforts could be directed against the Provisional Government itself. Trotsky’s Bolshevik colleagues are divided between those who think that the time is ripe for them to overthrow the Provisional Government and those who are more cautious. 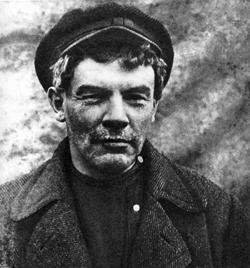 But Lenin is back in Petrograd now, having slipped back into the city from his refuge in Finland. At an impromptu meeting of the party’s central committee, Lenin’s call for the party to prepare for an armed seizure of power carries the day, with only Zinoviev and Kamenev voting against the party’s leader. The proposal for armed insurrection is deliberately vague as to timing, with some thinking that it could just mean a revolt at some point next year or later. But the fuse has been lit: the Bolsheviks are now preparing to overthrow the Provisional Government. Kerensky and Kornilov, his army commander, had been planning a crackdown in Russia, to return order to a country wracked by revolutionary chaos. But the prime minister has become afraid of his ambitious general. Now he is convinced that Kornilov is about to stage a coup of his own that will establish him as the Bonaparte of the Russian Revolution. In the early hours of the morning Kerensky meets with his cabinet in an atmosphere of crisis. Desperate times require desperate measures, so Kerensky secures the resignation of his ministers, taking on emergency powers himself. He telegrams Kornilov informing him that he has been dismissed as army commander. When Kornilov receives Kerensky’s telegram he is astonished. Despite their tensions, Kornilov had thought that he and Kerensky were working together to save Russia. Now Kornilov decides that there is only one possible explanation for this telegram: Kerensky is now a prisoner of the Bolsheviks, who have forced him to send it. As a man of action, Kornilov knows what is to be done. 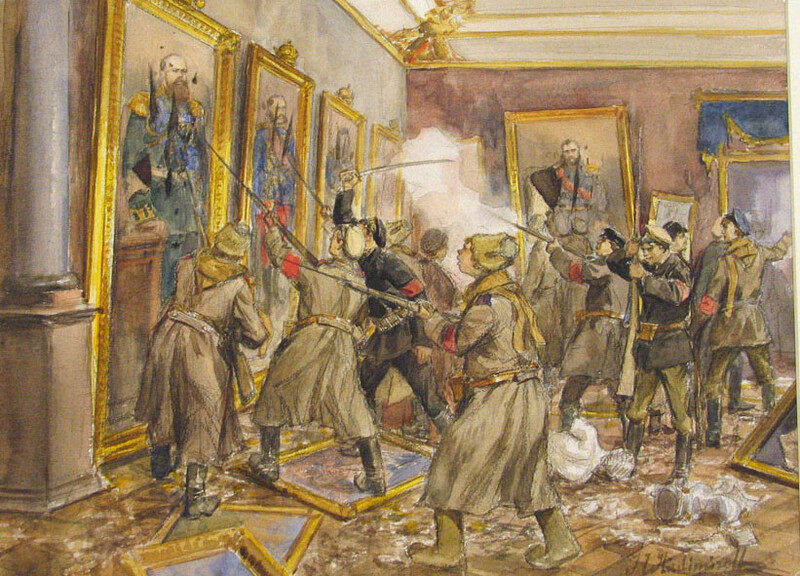 He orders his men to march on Petrograd to free Kerensky from the sinister clutches of the Bolsheviks. News of Kornilov’s move causes a sensation in Petrograd. The Soviet executive meets. Despite the hostility of some (especially the Bolsheviks) towards Kerensky and his government, it passes a motion calling for resistance to Kornilov’s putsch. Since the Provisional Government survived the crisis of the July Days Kerensky has been steadily consolidating his power. He has taken over from Prince Lvov as Prime Minister and formed a new government. This has a majority of socialists but these are mostly from the less radical wings of their parties and they are in the government as individuals rather than representatives of their parties. Kerensky’s government is also no longer tied to the programmes of the Petrograd Soviet. 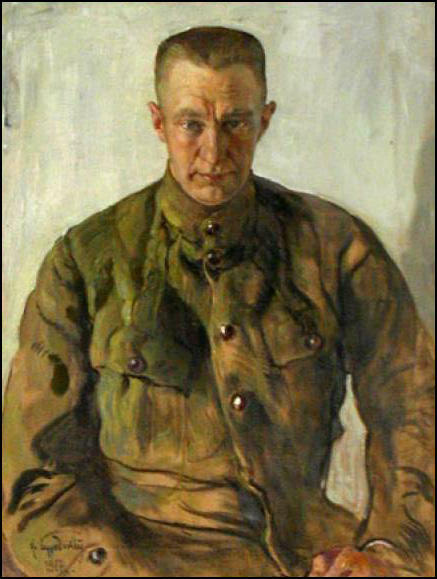 Kerensky has appointed Kornilov to head the army, now in a chaotic state following the failure of the recent offensive. 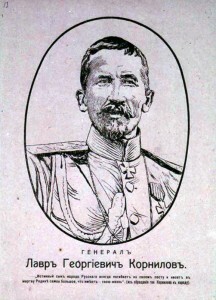 Kornilov wants to restore order in the army through iron discipline and has become popular in conservative circles. He demands more powers from Kerensky. The Bolsheviks meanwhile are on the back foot, their leaders in exile or on the run, with Lenin accused of being a German spy. However the party remains active and continues to look to the future. Its congress meets today and discusses the way forward. Following the failure of the Petrograd Soviet to accept power in July, they abandon the slogan “All power to the Soviets”. In its place they are now for “Complete Liquidation of the Dictatorship of the Counterrevolutionary Bourgeoisie”.